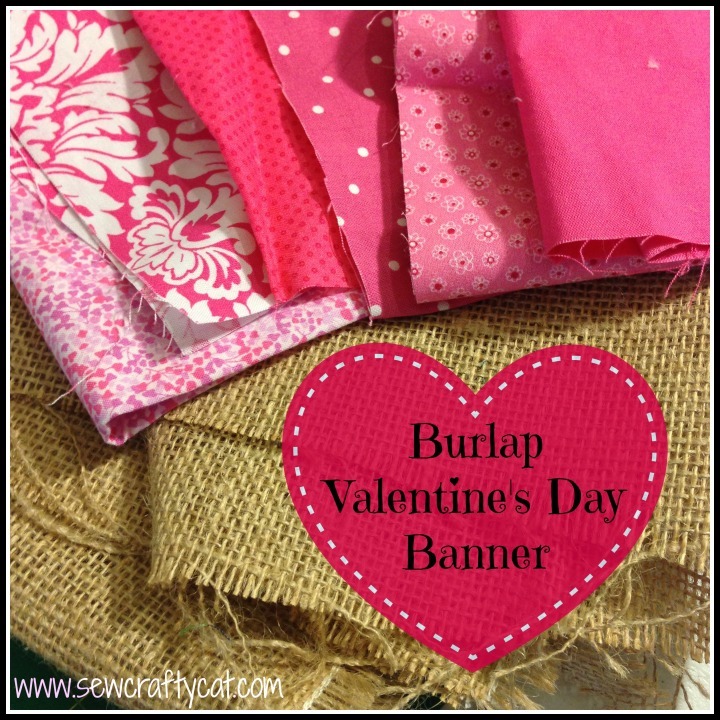 Even though I think burlap smells a little funny, I’m kinda loving the look of it these days! 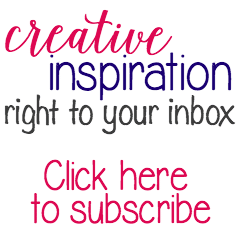 There are SO many cute projects you can make with burlap and it is super cheap to buy, too! 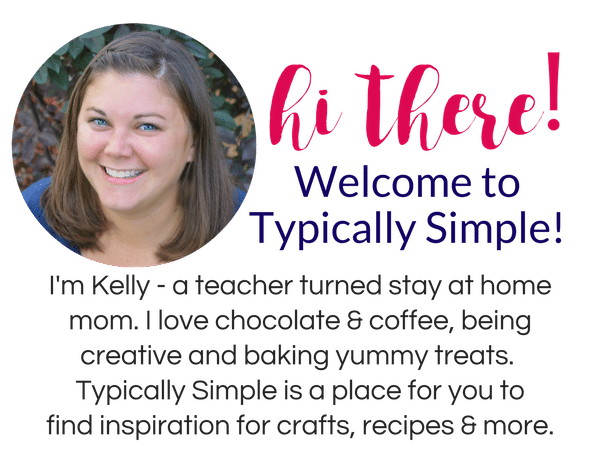 For Christmas, I stenciled some burlap pieces and made a cute little banner to use in Christmas photos. So of course I had to make something for Valentine’s Day! I pulled out the trusty Silhouette for this project. I ironed some Heat & Bond on the back of pink fabric scraps, then used my cameo to cut the hearts out of the fabric. But you can totally make this without a cameo! 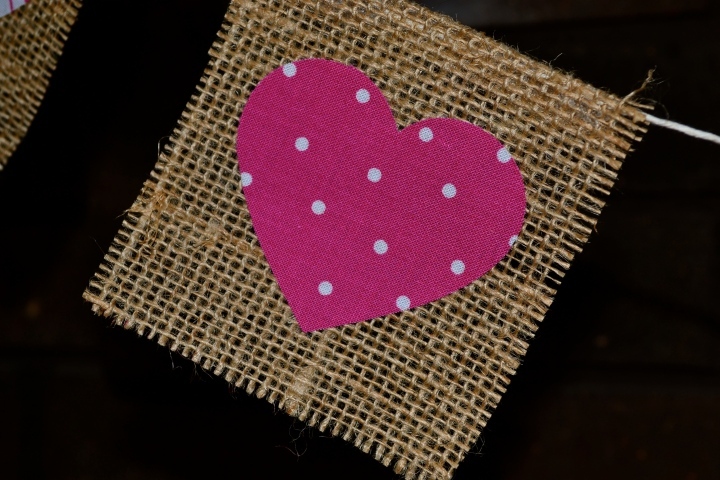 I decided to go with rectangular shaped banner pieces and just ironed the hearts right onto the burlap. 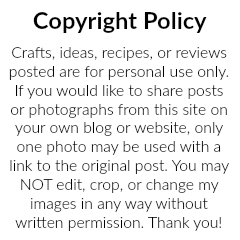 Super fast, super easy…my kind of craft project! Then I folded the top of the burlap over a little, tucked some twine in the pocket, and used my hot glue gun to attach the burlap to the twine. 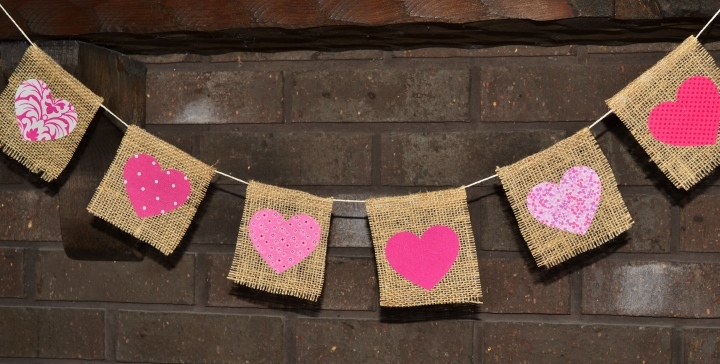 This would also look really cute using some red or pink baker’s twine! 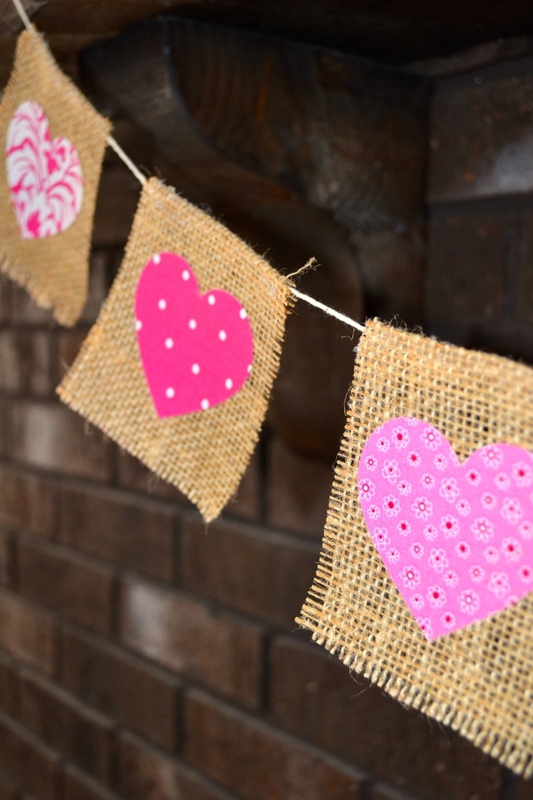 Be sure to check out these other simple Valentine’s Day projects!